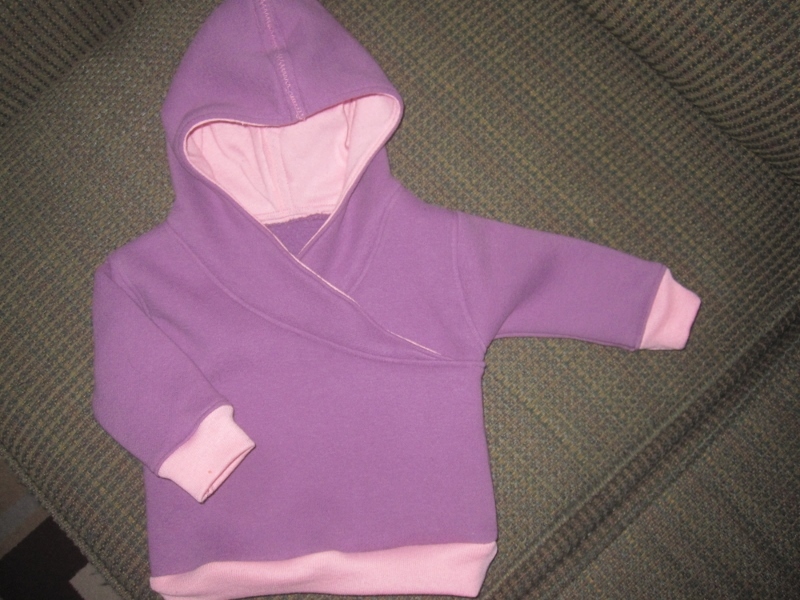 I have been busy sewing for a couple of little girls. Since I made Teemu one, I wanted to see if I could make the pattern just a bit bigger to fit his cousins who are now 8 months old. Purple is a favourite colour. 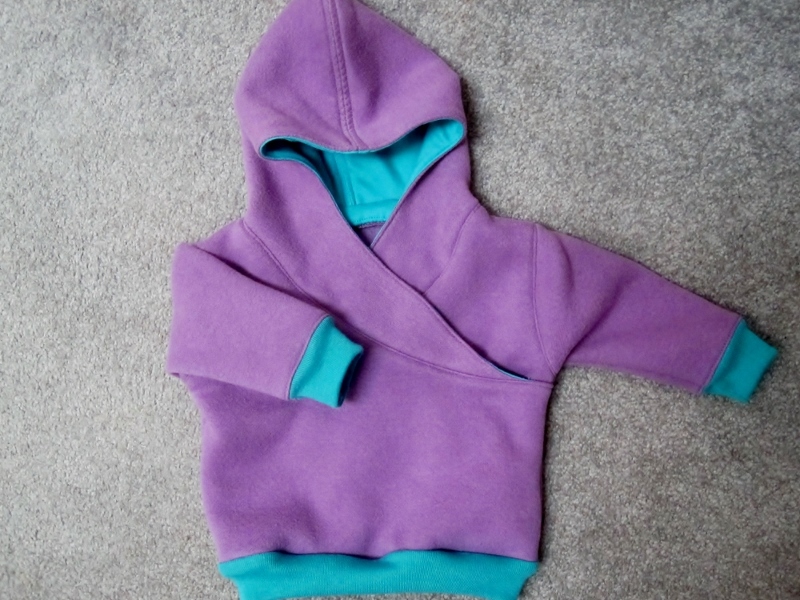 This is the free hoodie pattern and tutorial from Leafy Treetop's blog. They worked out so well that I decided they needed pants too. 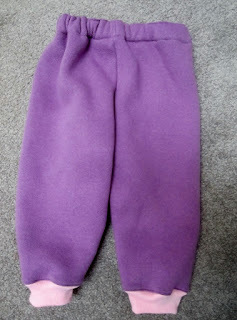 The pants were just a regular straight leg pants pattern that I added ribbing to. 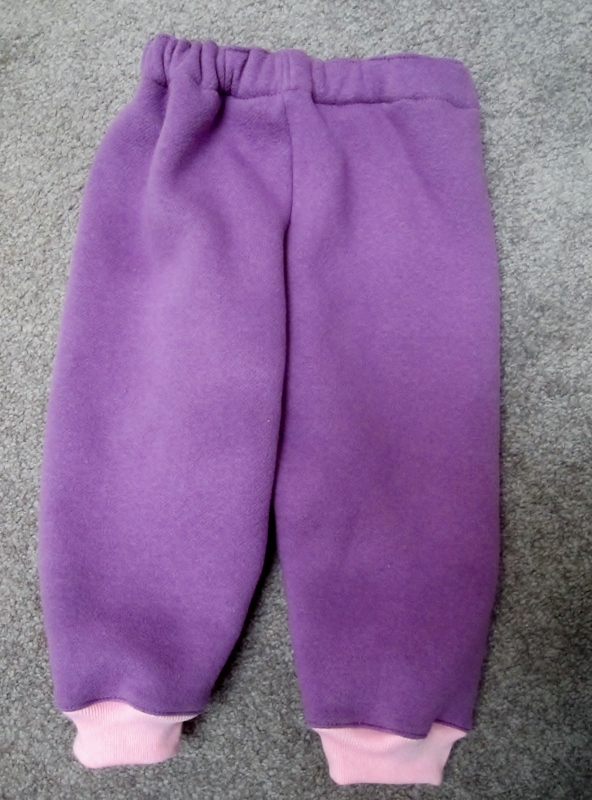 I used Simplicity 4434 because the pants were just two pieces instead of four so there are no side seams. Now I'm going to be sewing some big people clothing. My daughter wants some summer shirts/blouses. Very cute:) I'm sure they will get lots of wear out of them. What a sweet little outfit. And will be sure to get lots of use on cool evenings this summer on into fall. Love the matching top and pants, and lined hood, they will be so warm and comfy. I envy you your sewing skills - my grandson won't be dressed in anything like this that comes from my hands, that's for sure. I can knit him sweaters and hats, but when it comes to sewing I draw the line. The little outfits look gorgeous, have fun making your daughters clothes. Hope Teemu is going well. Since I am a big fan of purple, I think your track suits are gorgeous! I am sure their Mommy will be thrilled. Super sweet Dolores, they sure do keep you busy, lol! So fun! This will keep a sweet baby nice and warm and comfortable!!! Very pretty. 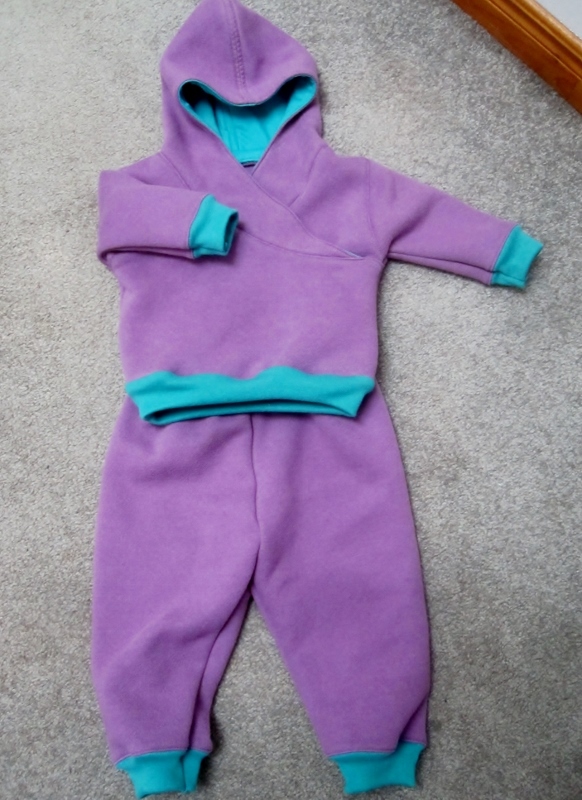 I haven't worked up the gumption to start sewing for the G-babies, though I did sew a lot for my children when they were little..